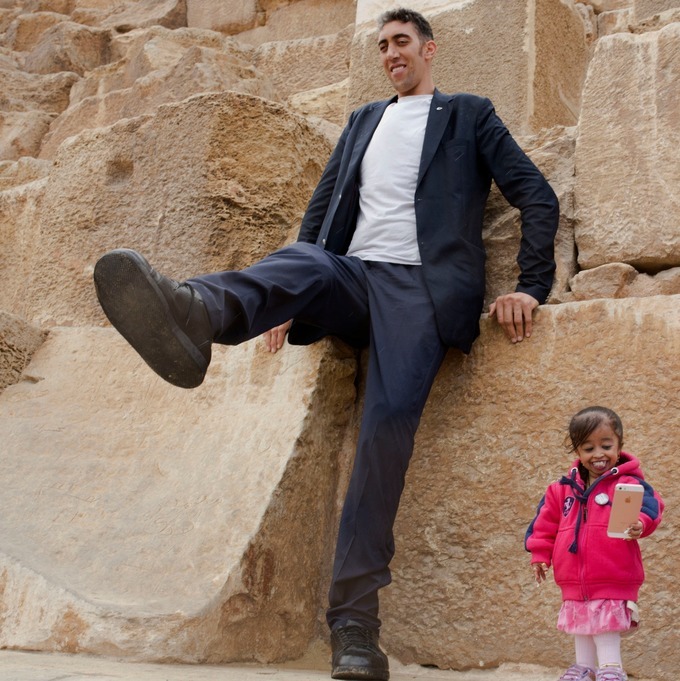 The world’s tallest man has met up with the shortest woman at Egypt’s pyramids in a bid to boost the country’s struggling tourism industry. 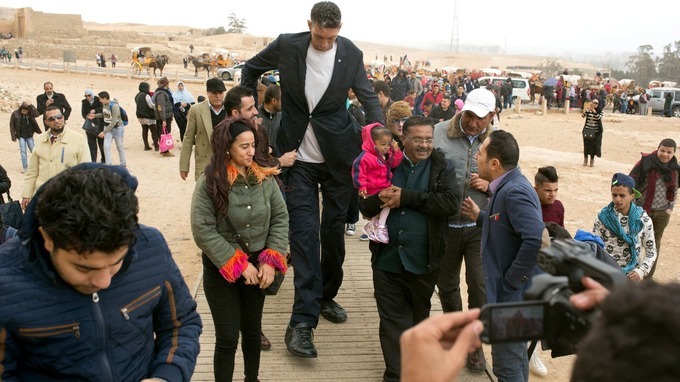 Sultan Kosen, a 35-year-old from Turkey, stands 246.5cm (8ft 1in) tall and met with Jyoti Amage from India, who is just 62.8cm (2ft 06in) tall. The pair came together in front of the historic site of Giza Pyramids in Cairo last Friday, striking poses for awe-struck tourists. Both were invited by the Egyptian Tourism Promotion Board to visit Cairo’s most famous sites. Mr Kosen’s extreme height is due to a condition known as pituitary gigantism, where the brain produces abnormally large amounts of growth hormone. Ms Jyoti, from Nagpur, has a form of drawfism called achondroplasia.